Our Faith. Our Synagogue. Our Family. Beth Messiah was founded in 1982 by Richard Freeman and his wife Patsy with the vision of creating a space for Jewish people to find the Messiah Yeshua and remain true to their Jewish heritage. 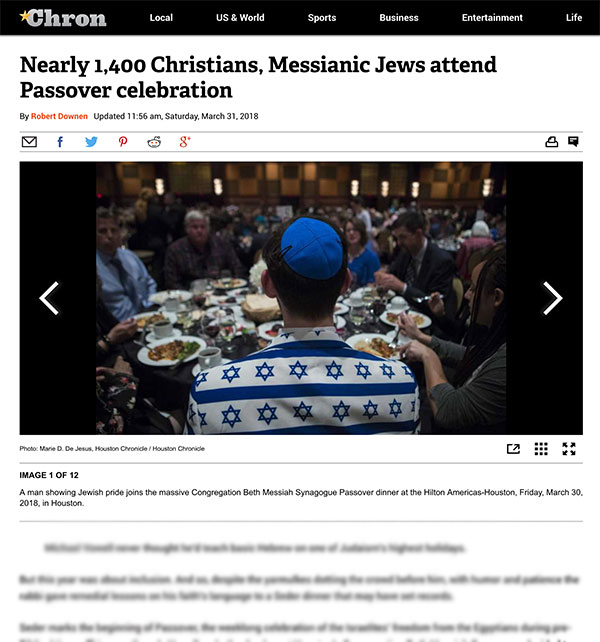 Since its inception, Beth Messiah has grown from a chavurah meeting in a living room to a messianic synagogue with more than 400 people in attendance each week and an online viewership in the thousands. If you are ever in Houston, Texas we would be delighted to have you join us for services on Saturday mornings starting at 10AM. We want to see Jewish people come to faith in Messiah Yeshua and have their lives transformed. Approximately 1350 people attended last year’s Passover Seder! We are counting up the days to Shavout and making our lives count as we pray for personal and corporate outpouring of the Ruach HaKodesh. Follow our prayer guide as you count the Omer between April 20th and June 8th. Download a printable PDF.